This coming fall will mark my eighth year living in the Edwardsville area. One aspect of the region that I have enjoyed since the beginning of my time here is the historic Main Street in downtown Edwardsville. Having grown up in a small town, I was immediately drawn to it because of its nostalgia and small town feel. I love the architecture of the buildings and, more importantly, that they are almost all still functioning buildings, housing restaurants and businesses alike. As a huge supporter of historic preservation, I was so excited to find a historic downtown that seemed to be thriving! However, there is one building in particular that caught my attention that was not being utilized–the old Wildey Theatre. With its noticeable marquee and beautiful brick design, I couldn’t help but wonder what happened to it? After doing some research, I discovered that the theatre was built in 1909, and was designed to house board meetings and acted as a community center for the area. Vaudeville shows flourished in the beginning, with the theatre displaying a variety of singing, dancing, juggling, magic, and even comedy shows. 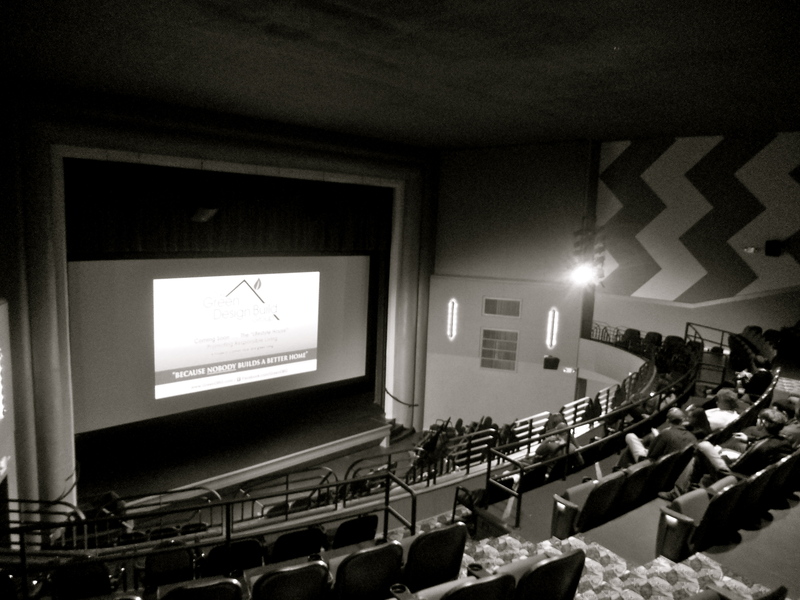 The theatre then moved on to showcase silent films and eventually “talkies,” including the famous movie “The Jazz Singer.” Over time, the theatre lost funding and eventually closed its doors in 1984. In 1999, the City of Edwardsville purchased the property in hopes of renovating it. Over the past seven-plus years of being in the area, I have heard several rumors of it being either being closed for good or that it will be reopened soon. 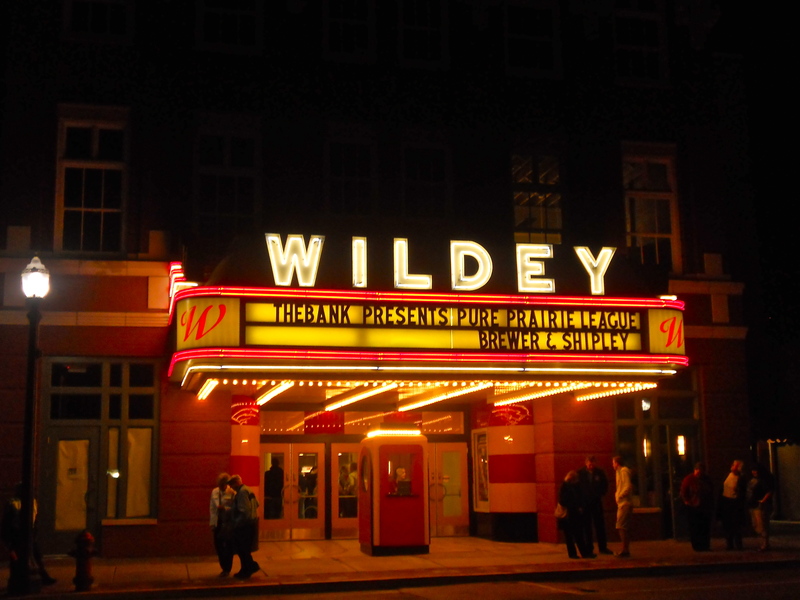 Well, the day has finally come–the Wildey Theatre had its grand re-opening on April 12! I had the opportunity to attend one of the movies they were showing during opening week, “Singing in the Rain,” and was thrilled to finally be able to go inside the theatre that has mysteriously sat vacant for so long. The newly remodeled building has done an excellent job at preserving the integrity of the art-deco style architecture while also upgrading the facilities with modern technologies. There is even a functioning ticket booth outside of the theatre, just like there used to be. 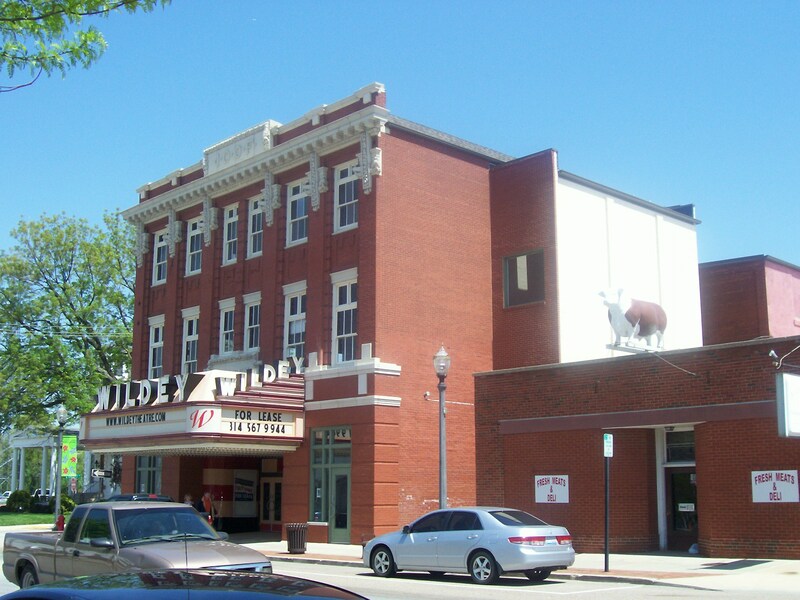 The Wildey Theatre plans on contributing to the community by not only showing movies, but also inviting students from Edwardsville High School and SIUE to perform there as well as other local entertainment. The Wildey Theatre is a piece of living history, and hopefully it will receive the support it needs to maintain its presence in the Edwardsville community.